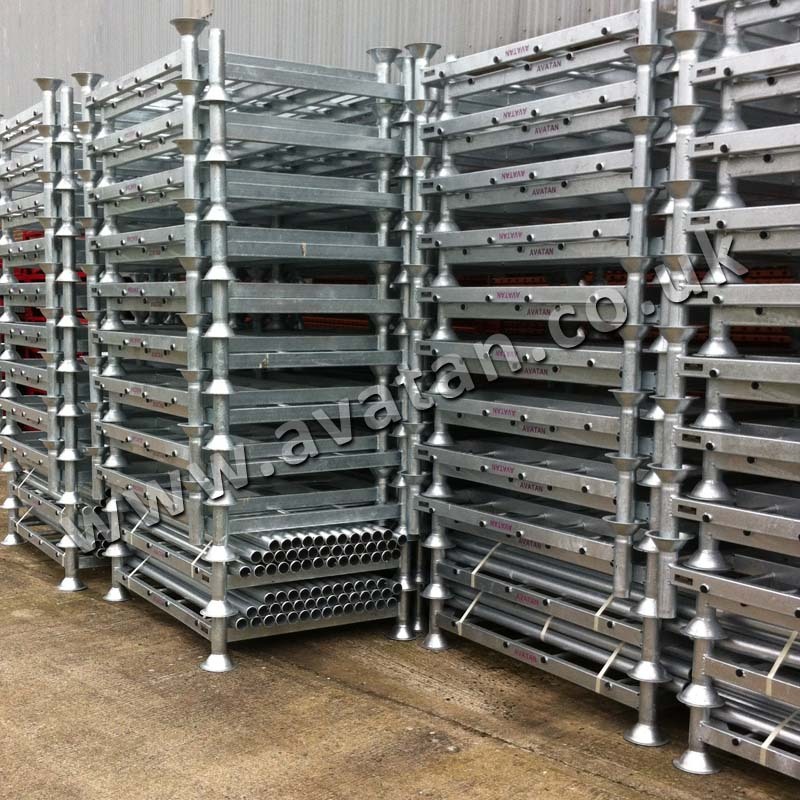 Demountable Postrack, manufactured from round tube and hot dip galvanised finish. 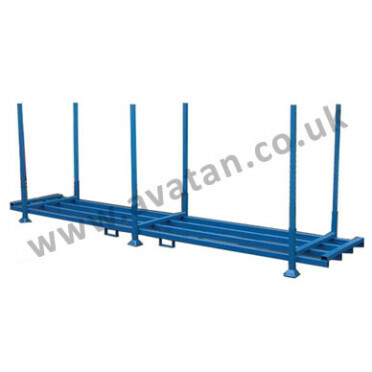 May be manufactured with fixed or removable posts, and designed to suit your own specific needs. 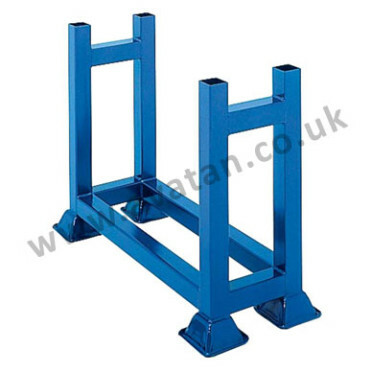 Generally held in stock size: 1420mm x 1060mm x 1660mm overall height. (This size generally immediately available for sale or hire). 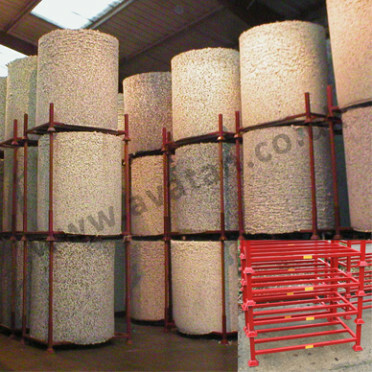 These strong but simple demountable steel post pallets have many and varied uses. 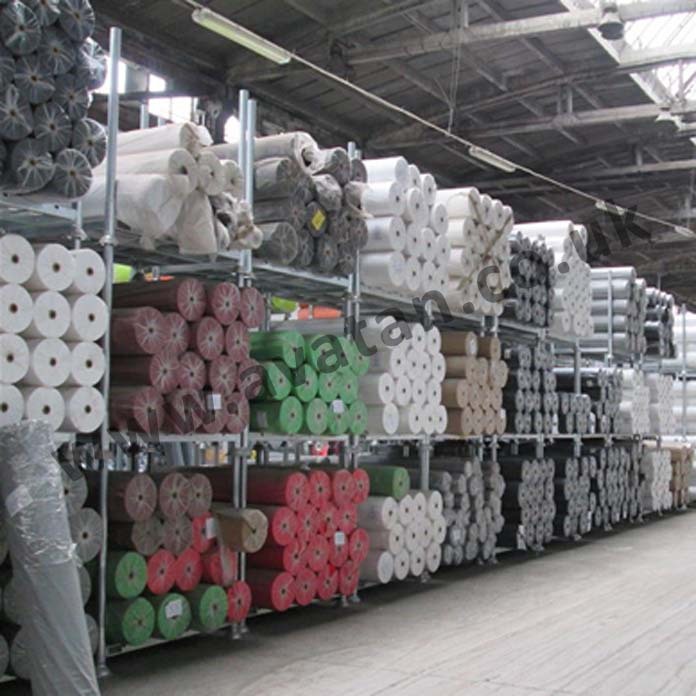 Pictured below for rolls of material and for furniture storage, and a double width rack for rolls of paper. 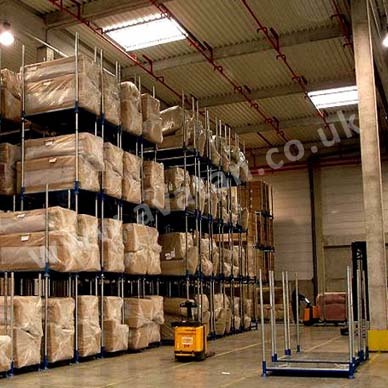 These post pallets are infinitely versatile and may be used as an alternative to pallet racking. Ideal for peak or seasonal storage requirements as the posts may be removed, minimising storage space required when Postrack not in use. 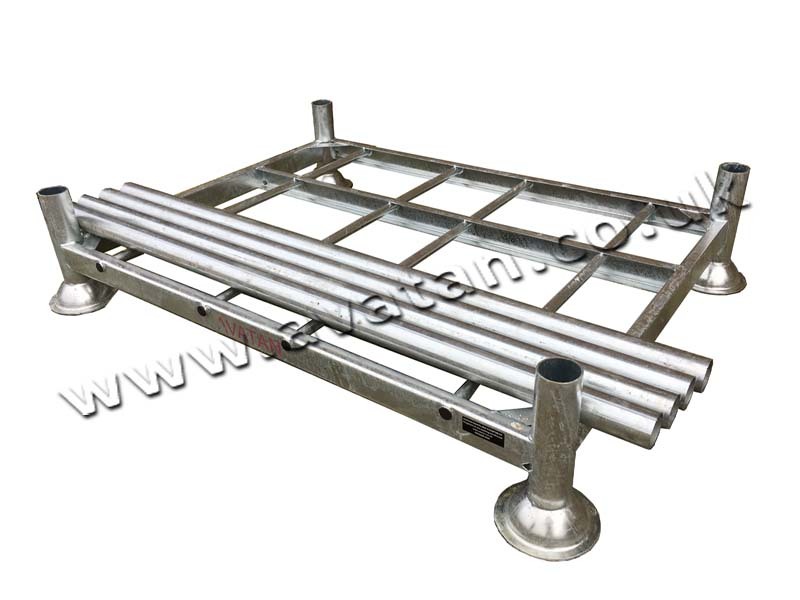 Available with open braced base or sheet steel deck. May alternatively be supplied with chipboard or plywood decking. 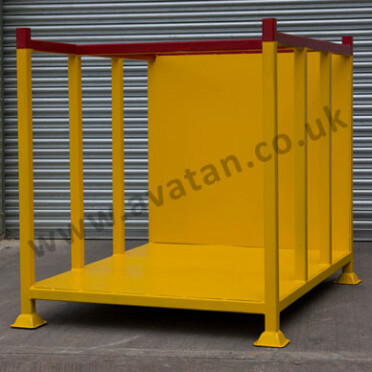 Standard units are generally immediately available and are also offered for long or short term hire.